Whether you shop on impulse or buy products after hours of research, it’s fair to say that many of us have ended up buying beauty items that are simply not fit for purpose. Enter My Beauty Matches. 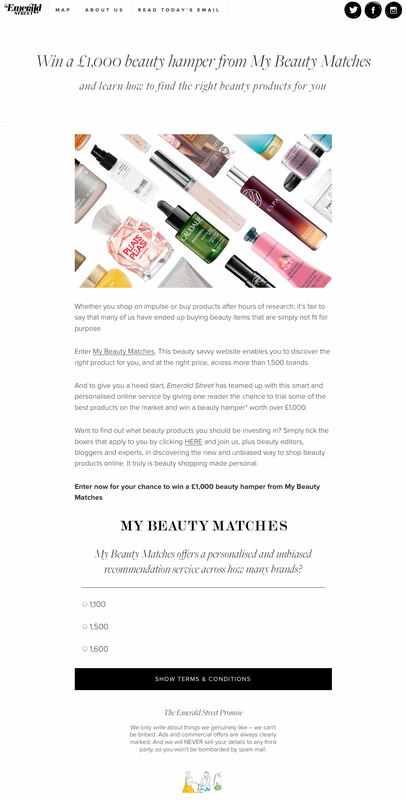 This beauty savvy website enables you to discover the right product for you, and at the right price, across more than 1,500 brands.